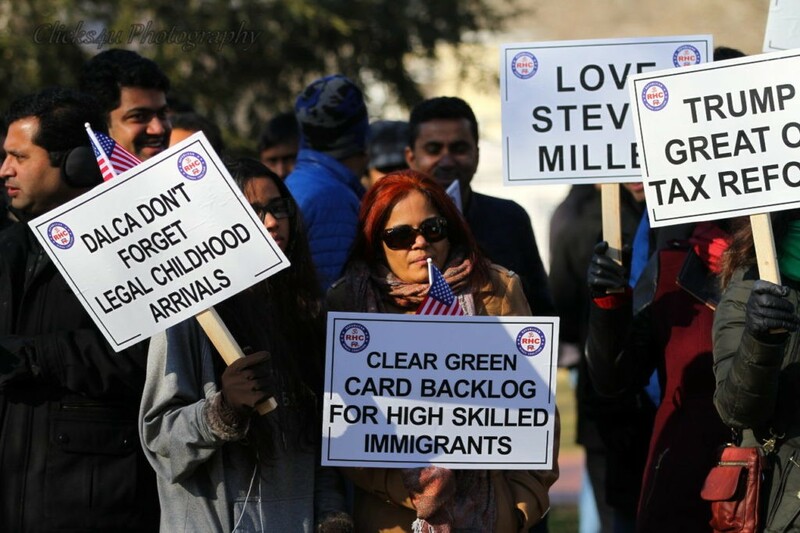 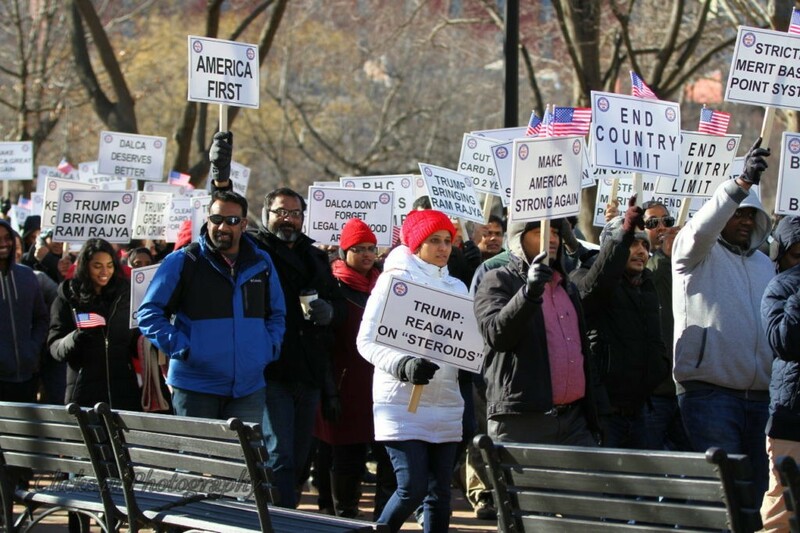 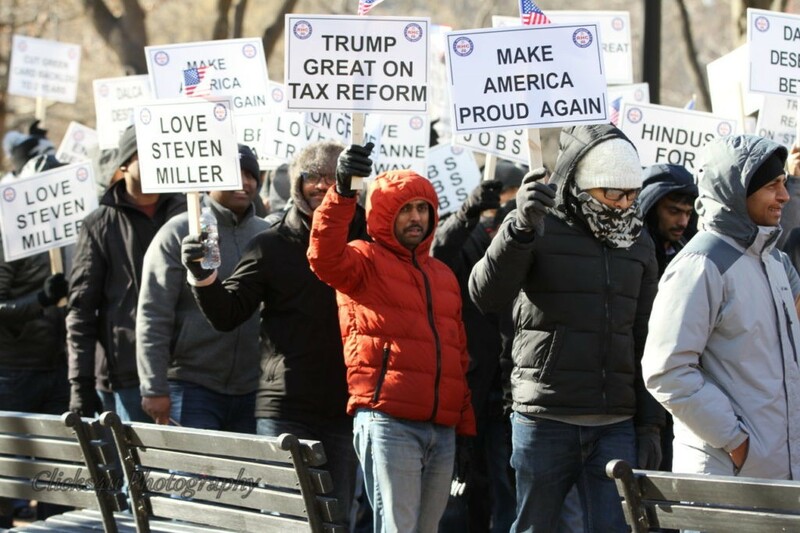 WASHINGTON, DC — Hundreds of high-skilled Indians and Indian Americans rallied in front of the White House on Saturday in support of President Donald Trump’s merit-based immigration plan and called for ending the visa lottery system and chain migration while debunking the mainstream media’s attempts to label the commander-in-chief a racist. 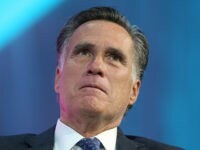 Most of those present were experts in the STEM (science, technology, engineering, and math) field. 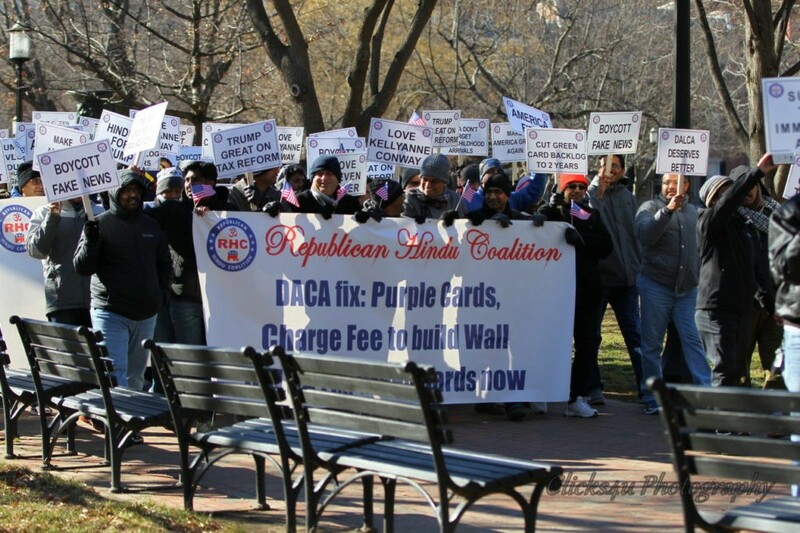 The rally was organized by the Republican Hindu Coalition (RHC), a Hindu-American community organization founded by Chicago-based inventor and entrepreneur Shalabh “Shalli” Kumar in 2015 under the leadership of Speaker Newt Gingrich, Senate Majority Leader Mitch McConnell, and many other senior leaders of the Republican Party. 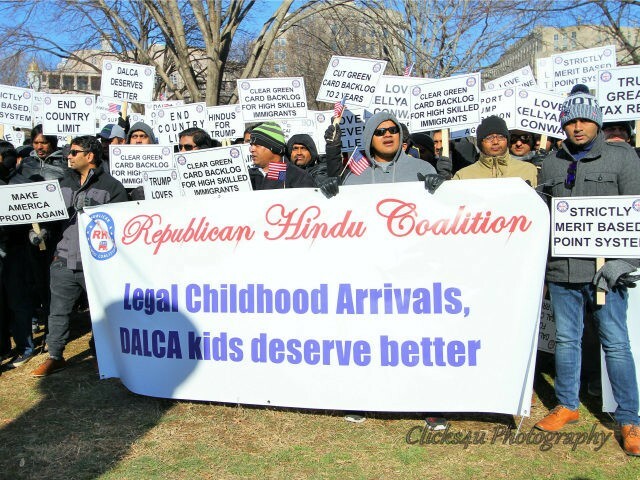 At Saturday’s rally, the RHC requested the House, Senate, and White House consider legislation that would provide green cards for Deferred Action on Legal Childhood Arrivals (DALCA) within two years; end chain migration and reallocate to merit migration; eliminate the visa lottery; and grant purple cards to Deferred Action on Illegal Childhood Arrivals (DALCA) kids in exchange for a $2,500 fee for ten years to fulfill Trump’s promise of having Mexico pay for the wall. 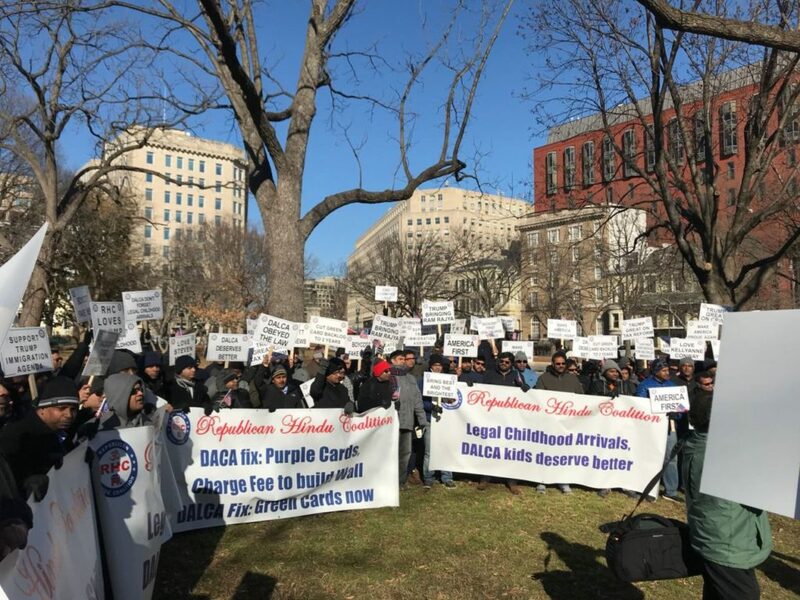 President Trump recently stated that merit-based immigration should be a requirement for any DACA fix. 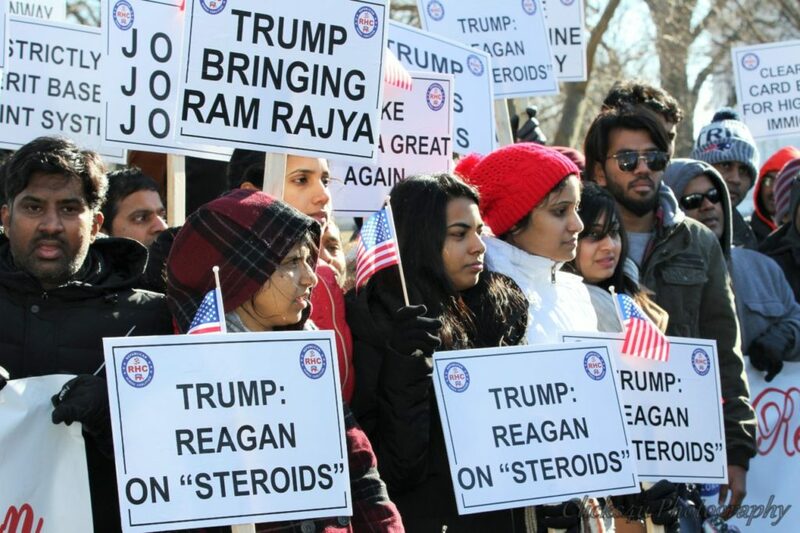 Indian and Hindu-Americans contributed significantly to Trump’s historic victory. 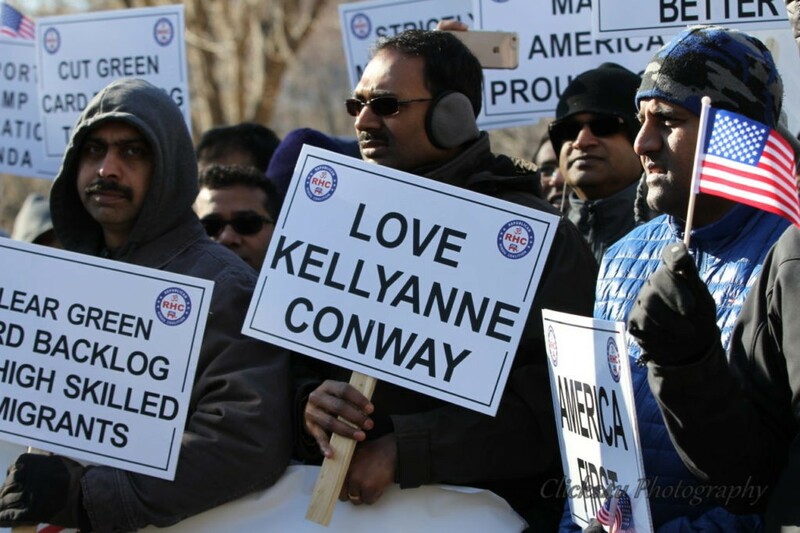 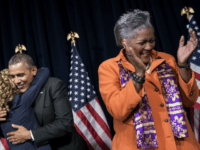 According to Kumar, more than one million Hindu American voters changed their registration from Democrat to Republican when then-candidate Trump spoke at a huge Hindu rally on October 15, just three weeks before the November election.